Stand out from the pack, originally uploaded by dgray_xplane. 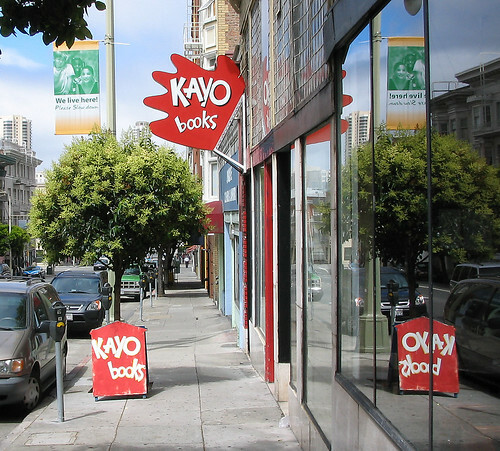 KAYO books in San Francisco has discovered a wonderful way to make a very ordinary storefront feel lively and inviting. A lot of good thinking and a little work makes the store stand out on a street where a lot of signs compete for your attention. The design works because the designer decided to stand out by thinking orthogonally. Are you designing anything? If so, take a moment to think of a really simple way to make your design stand out from the pack. Is there a way your design can be "orthogonal" to its competitors? 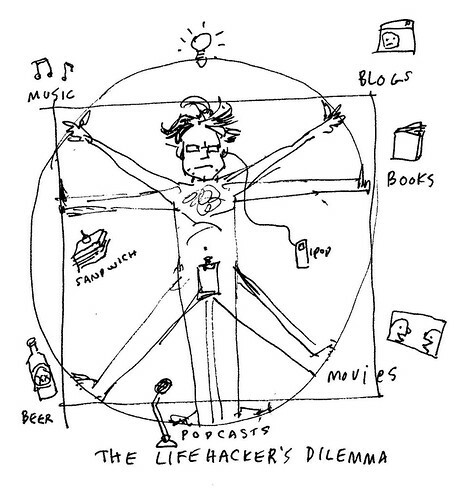 Vitruvian Mann, originally uploaded by dgray_xplane. Too many distractions, too little time. Co-developed with Merlin Mann of 43 Folders. 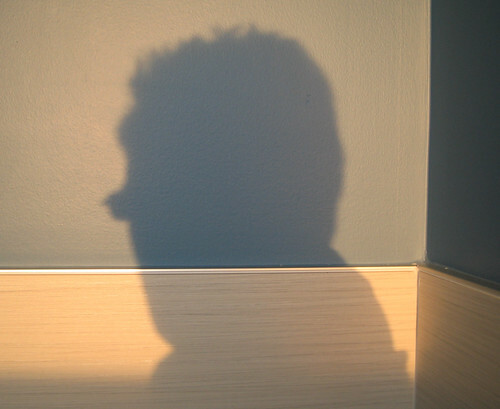 Shadow, originally uploaded by dgray_xplane. Yes, the Toronto Globe and Mail has proclaimed me the grand-pappy of business visualizations. What is twttr and how do you pronounce it? I just had dinner with Evan Williams and his lovely fiance Sara Morishige. Somewhere between the kalua pig and the bannana bread pudding, Evan gave me a hot scoop: his company, Odeo is about to launch a new service called twttr. It's pronounced "twitter" and you can find it at http://twttr.com (If you're less hip and more literal, like me, you can also find it at http://twitter.com). The idea is that you can keep your friends informed of where you are and what you're doing by text-messaging them from your mobile phone. If you think about it it's a pretty cool idea: You can subscribe to text messages from your friends and they can "blog" their wheareabouts and doings. So, for example, if you're going to be in a certain city, or a certain coffee shop, or a certain club -- you can text message all your friends in one go, for example: "I'm going to the Starbucks at Market and Polk. Meet me if you want to play Scrabble." People will get your text message immediately no matter where they are -- it's more immediate than a blog or email, and if they happen to be nearby, you haven't missed an opportunity to hook up.